This year's floods, which have caused tens of billions of dollars in damage already, have exacted the highest death toll since 1998, which saw the highest water levels in 50 years. In this Tuesday, July 20, 2010 photo, a street lamp is partially emerged by the flooded Yangtze River in southwest China's Chongqing city. With the typhoon season rolling in, Liu Ning, general secretary of the government's flood prevention agency, told a news conference authorities must ramp up preparations. "Since 60 to 80 percent of the annual rain level occurs in June, July and August, we should be prepared to prevent and combat potential disasters," Liu said. Tropical storm Chanthu is expected to hit China's southern island of Hainan and Guangdong province this weekend. Six to eight typhoons are expected this year. Already, three-quarters of China's provinces have been plagued by flooding and 25 rivers have seen record-high water levels, Liu said. 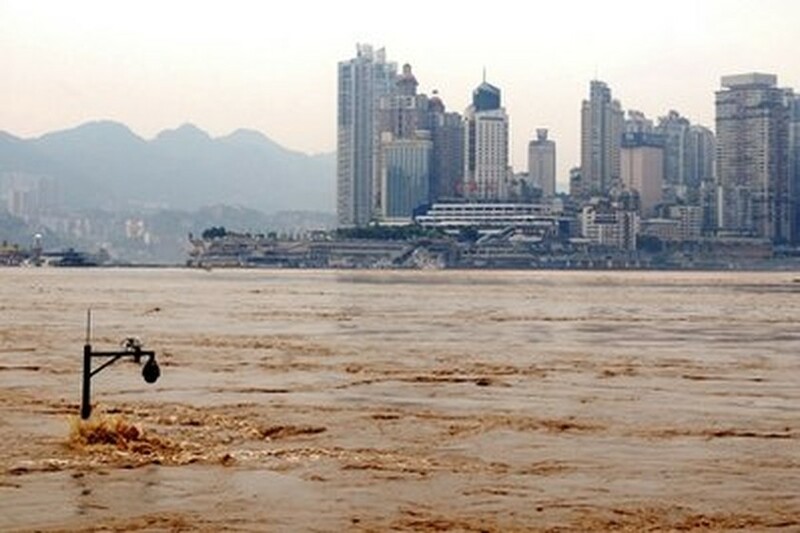 "Although water levels in the upper stretches of the Yangtze River have surpassed that of 1998, the flood situation is still not as severe because the Three Gorges Dam has played a key role in preventing floods along the river this year," Liu said.